GoGoBambini offers fun play for children in a safe environment. Kids can enjoy a well designed play area with a 2-storey slide, a ball play area, a floor play piano and several other attractions. 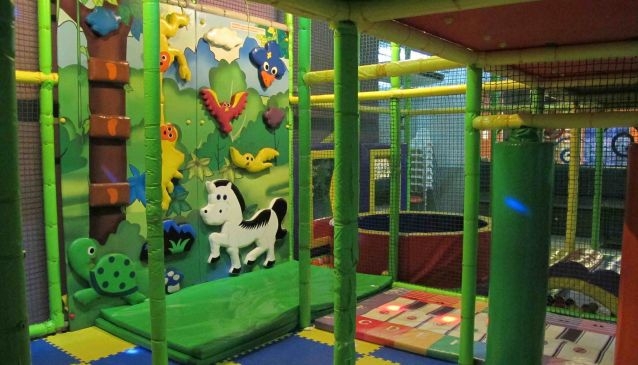 There is no dedicated area for toddlers and most of the play area is designed for kids who are able to climb and slide on their own. The cafe serves snacks and warm meals such as soups and Hamburgers. There are also a few healthy choices such as salads and fresh juices. With quite a large seating area, a book shelve, a magazine corner and even two computer stations, the place clearly aims for families to stick around for more than two hours. Weekends and holidays are busy with parties drawing in huge crowds of children and the cafe getting very busy. Opening hours: Monday to Thursday from 9.30am - 6pm and Friday, Saturday, Sunday from 9.30am - 8pm. Additional fee of SGD 12 for each subsequent hour.